Yukon landlords soon will be governed by a new set of rental laws. The Residential Landlord and Tenant Act will become effective January 1, 2016. 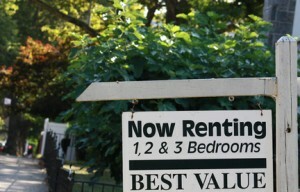 Officials call the Act “modern tenancy legislation” designed to guide both landlords and tenants. “The Residential Landlord and Tenant Act provides Yukoners with a clear and effective residential tenancy law,” Minister of Community Services Currie Dixon said. Dixon adds that this legislation, which took many years to hammer out, incorporates best practices from across Canada while still taking into account Yukon’s unique rental situations. Most landlords will be covered under the new Act, including hotel, motel and other tourist housing where tenants remain beyond six months. One key highlight of the new legislation is the creation of a Residential Tenancies Office, which will be responsible for the administration of the law and dispute resolution, effectively taking landlord tenant claims out of the courts. This Residential Tenancies Office, or RTO, was tasked with developing regulations and threshold rental standards. The RTO took into account successful practices from other provinces, as well as public comment. Regulations were passed in September of 2015. On January 1, 2016, the Residential Tenancies Office will begin providing dispute resolution. The effective date of the legislation will be followed by a one-year transition period in which time landlords must meet the new standards. The RTO plans a public education campaign, and over the next few months, landlords and tenants will receive information through a series of public information sessions, a new website and a Residential Landlord and Tenant Handbook. Following the example of provinces such as British Columbia, the Yukon law provides for security deposits which can be collected to offset possible damage to a rental unit. The amount cannot exceed one month’s rent, and only one deposit can be charged for each unit. However, additional pet deposits will be prohibited, as will deposits for fuel. A written tenancy agreement will be required. These agreements are to include standard terms such as a disclosure of fees, rules regarding entry into the unit, termination of a tenancy, rent increases and repairs. Similar to Alberta’s rules, condition inspection reports at the start and end of a tenancy will be required to preserve the landlord’s right to make a claim against the security deposit. Unlike Ontario, British Columbia and Manitoba, rent increases will not be tied to economic factors nor capped by annual rent increase guidelines. However, rent increases will be restricted to one per year. Carbon monoxide and smoke detectors will be mandatory in buildings with fuel-burning appliances. Other standards will take into account the age, character and location of the rental property.